The body is a wonder to behold. Often a nerve has died without the person even knowing it. This can occur if the irritation is gradual, or the person’s immune system is very good. The nerve space may have become very small due to the nerve trying to protect itself by making reparative dentine. This is calcified material that is very hard. The nerve may become necrotic due to a lack of blood supply, however, being only a small amount of dead tissue the body’s immune system can cope with it. These teeth are found by routine xrays or a chance finding on an xray when checking another tooth. Sometimes the xray does not show an infection! These calcified canals are very hard to see and require high magnification to find them. This can be achieved via an intra-oral camera, special magnifying glasses or loupes or a surgical microscope. 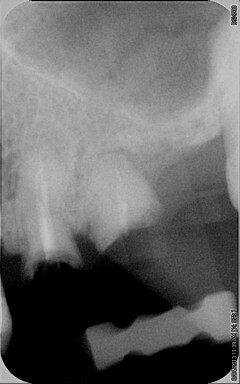 Special root canal drills and files are used to negotiate these canals, which we will explore in a later blog. Many times on the removal of a failed filling,or a broken part of a tooth, the nerve space is exposed revealing no visible tissue. Even though there is no pain, there is bacteria present in the space. Any changes to the tooth structure that favours bacteria or the person’s immune system weakens then the infection may flare up. This is particularly important if extensive fillings or crowns are required to restore the tooth. It is then important to do a root canal treatment. Occasionally, these long standing “non-event” teeth actually cause problems that people belive to be a normal part of their lives. It isn’t until the nerve treatment has been completed and the symptom clears that they realize that they had a problem. This commonly occurs in the upper jaw where a recurring sinusitis has cleared with a root canal of an infected tooth that has no symptoms. 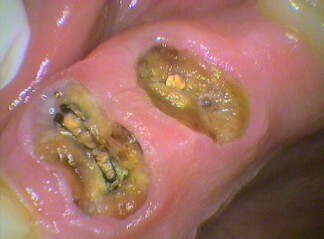 Unfortunately, even previously root filled teeth are no protection to decay. If the root canal material is exposed to the oral environment, bacteria are found at the tip of the root after 30 days! 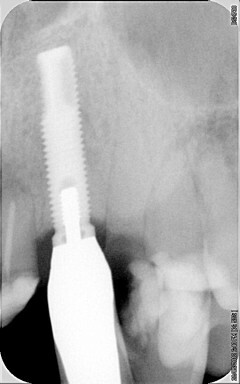 This means, ideally, retreatment of the root canal therapy, especially if extensive work needs to be placed over it. 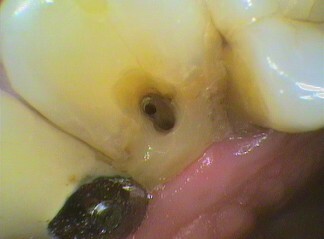 A root canal treatment is only as good as the seal of the the material that is built over it.